Two months ago WordPress 4.0 introduced internationalization and localization improvements. 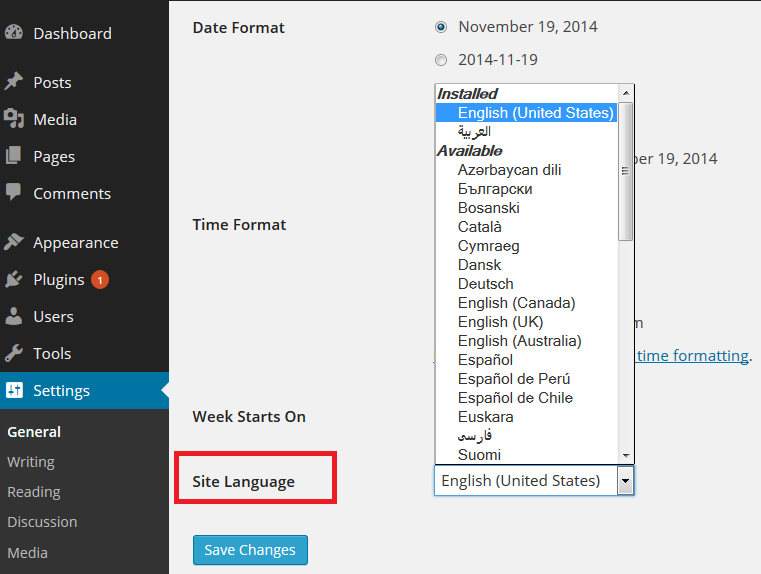 WordPress 4.1 is expected to be released in the second week of December, 2014 with new localization improvements: Install language packs from admin area. WordPress 4.1 Beta 1 is now available, but the software is still in development. You can test it. WordPress 4.0 introduced language selection during the installation process, but you had to upload po and mo language files to install a new language and then change it from Settings > General > Language Site. WordPress 4.1 will make it more easier, as users will now be able to install and change the language from Settings > General > Site Language. Simply select the language you want to install and save settings. WordPress will automatically download and install the language packs.